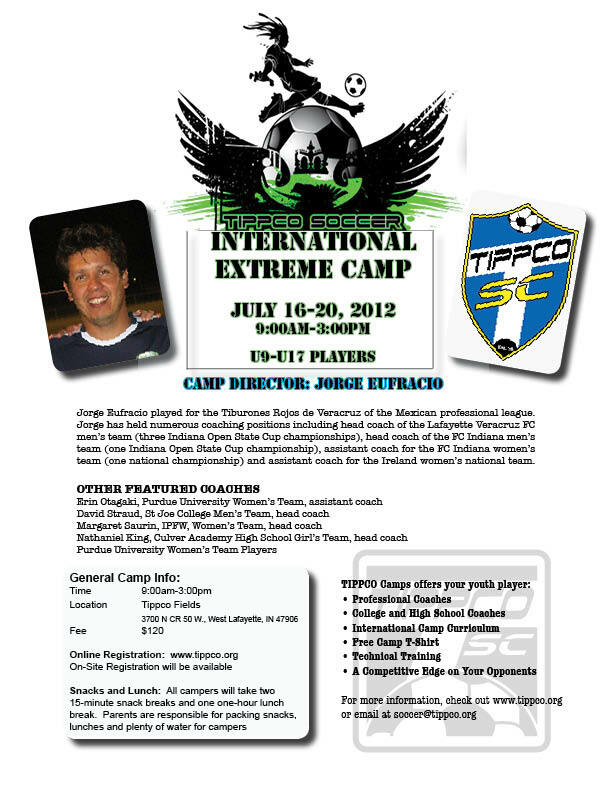 Tippco is proud to announce the TIPPCO SOCCER INTERNATIONAL EXTREME CAMP will be held July 16-20 at the Tippco Fields. Camp will be conducted daily 9:00am-3:00pm. Fee is $120. This entry was posted in Archived News on June 27, 2012 by krockover. This entry was posted in Archived News on June 26, 2012 by krockover. 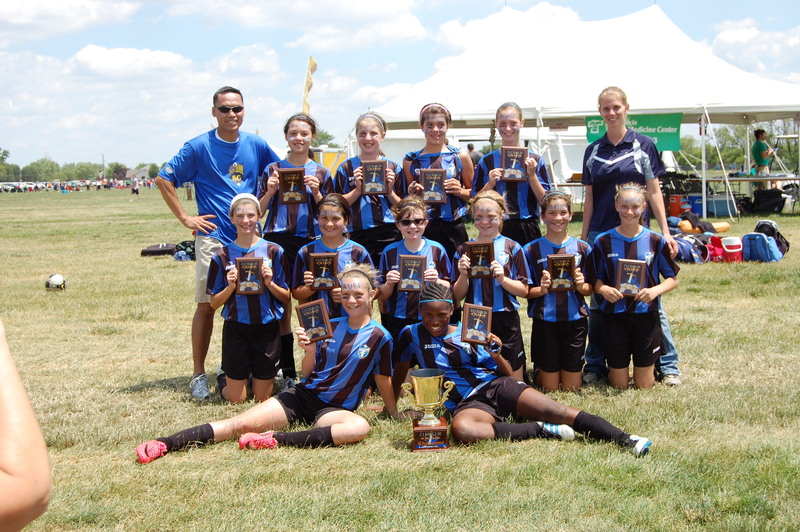 Congratulations to the U-12 Girls White Team…2012 Siege at St. Francis Champions!!! The U-12 Girls White team played with heart and determination when they captured the Siege U-12 Girls Championship with a perfect 4-0 record. Congratulations ladies on a great weekend! This entry was posted in Archived News on June 7, 2012 by Matt. U-12 Girls White Team win 2nd Division! 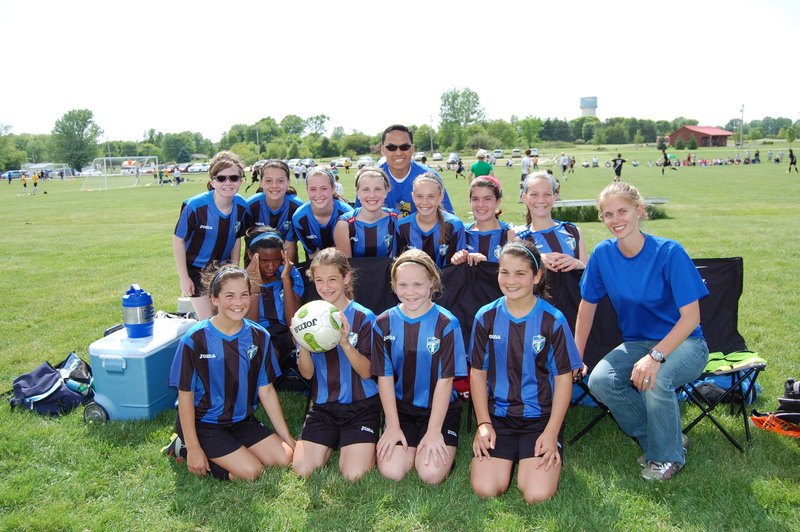 The U-12 Girls White team won the 2nd division with 7 wins, 1 tie and no losses. Congratulations ladies on a great season! Tippecanoe Soccer Association is pleased to announce that Jorge Eufracio has been retained for the 2012-2013 season as a coach and trainer. Jorge has lived in the Lafayette community for the past fourteen years. He is married to his wife Elisabeth and has two children, a son George who is a sophomore at Lafayette Jefferson and a daughter Isabella who recently turned one. Jorge’s love of the game began while growing up in Mexico. His passion for the sport eventually earned him a professional contract with the Tiburones Rojos de Veracruz of the Mexican professional league. As his professional career wound down, he turned his love of the game to coaching. Jorge has held numerous coaching positions and a few of the highlights include head coach of the Lafayette Veracruz FC men’s team (three Indiana Open State Cup championships), head coach of the FC Indiana men’s team (one Indiana Open State Cup championship), assistant coach for the FC Indiana women’s team (one national championship) and assistant coach for the Ireland women’s national team while they toured the United States. Some of the players that he has coached / trained include Kristin Luckenbill (USA / Olympic Gold medal), Rich Balchan (USA / U20 National team / Columbus Crew), Fatima Leyva (Mexico / National team captain), Nickardo Blake (Jamaica / U20 National team / Toronto FC), Shannon Lynn (Scotland / National team), Mizuho Sakaguchi (Japan / World Cup Champions), Emma Byrne (Ireland / National team), Yvonne Tracy (Ireland / National team), Niamh Fahey (Ireland / National team / Arsenal Ladies) and Stefanie Curtis (Ireland / National team / Chelsea). Jorge has played and coached at some of the highest levels that the sport of soccer has to offer. We are pleased to be able to offer his skills and talents to the Tippecanoe Soccer Association family. When you see him at our fields this fall, please feel free to introduce yourself and make him feel welcomed. Note: Jorge is available for private lessons. Please feel free to contact him directly if you wish to arrange an individual and/or small group training session(s) at the Tippco fields. He may be reached directly at 765.479.7510 (cell) or jeufracio@hotmail.com. This entry was posted in Archived News on May 24, 2012 by Matt. Chicago, Ill. – Roosevelt University announced that Briana Maddox signed a letter of intent to join the Lakers for their inaugural season this fall. Read the full story at rooseveltlakers.com. Congratulations Briana! This entry was posted in Archived News on May 17, 2012 by Matt. This entry was posted in Archived News, Uncategorized on April 20, 2012 by krockover.